Let’s be honest…everything tastes better on the grill. 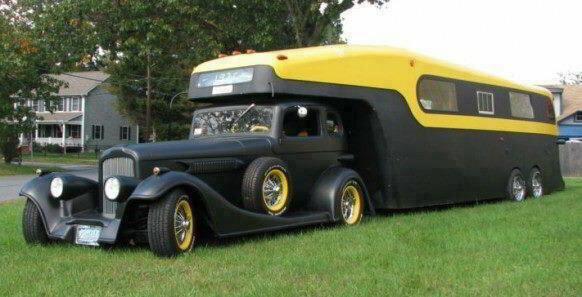 And what better time to bust out the grill then while camping? 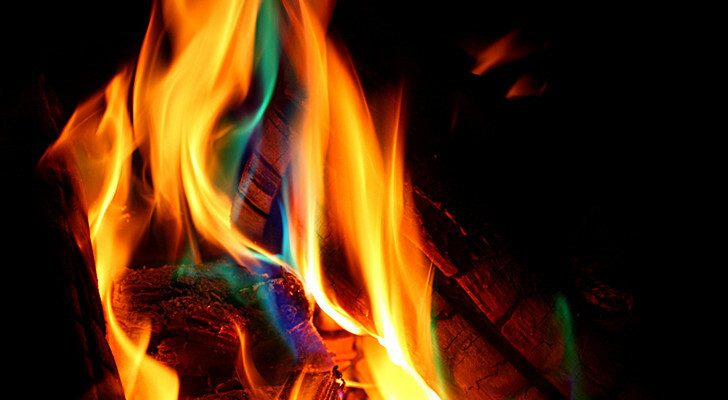 Whether you prefer charcoal or gas, smoky, or traditional, there’s no doubt that the grilling tradition is strong. This season, take your grilling game to a whole new level with these 10 useful accessories. Turn your grill into a do-it-all cooking machine with this per-seasoned griddle. 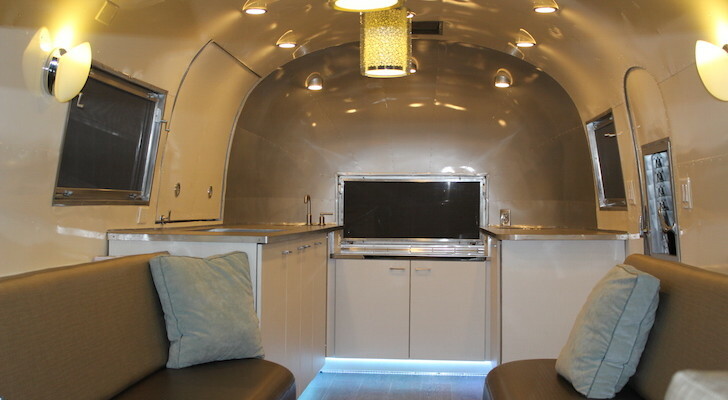 It easily flips to reveal a flat surface on one side and grooved surface on the other. 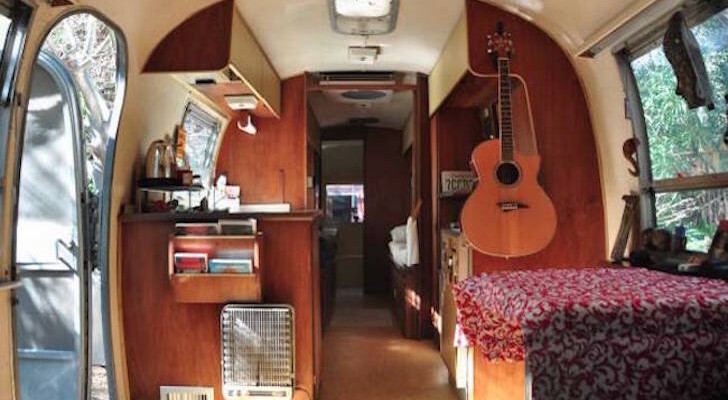 Want to cook grilled cheese sandwiches, french toast, home fries, or even eggs on your grill? A cast iron griddle is the best way to ensure evenly cooked, perfectly seared food. Cast iron griddles come in a variety of sizes so be sure to measure your grill and choose one that fits before purchasing. 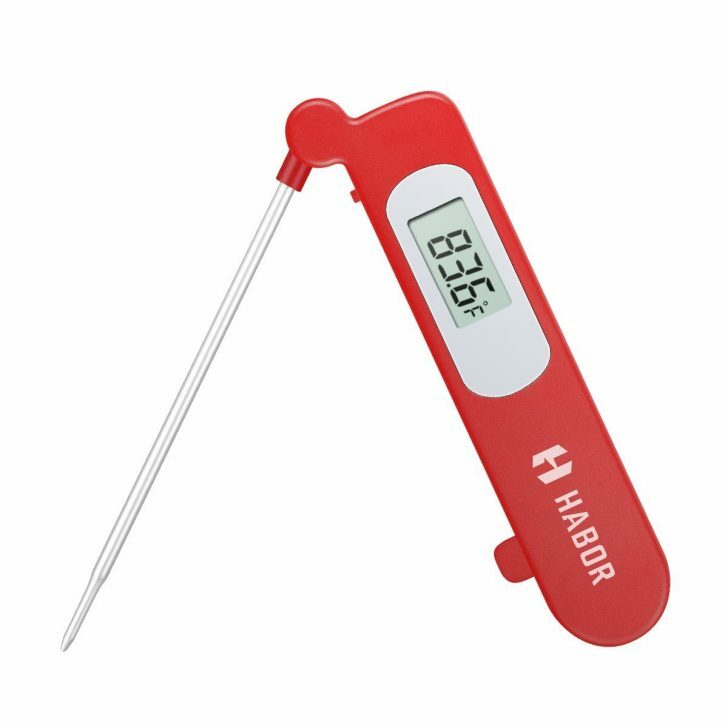 Of all the grilling accessories on this list, an instant read thermometer is possibly the most essential. No more guessing when the meat is done, or even worse, cutting it open and releasing those precious juices. Simply unfold the probe, insert in the meat, and 4 to 6 seconds later you will know the precise temperature of your food. A handy chart is printed on the back side of the thermometer so you always know the correct temperature. 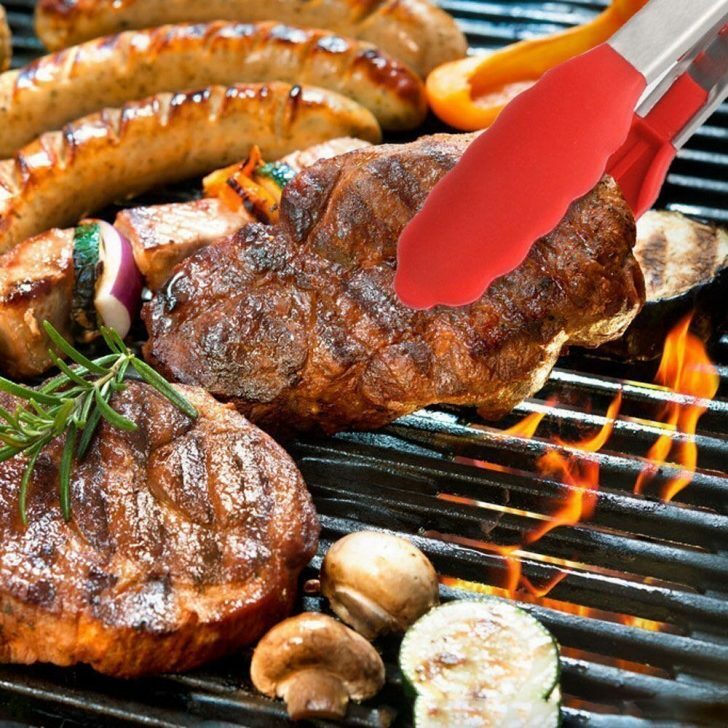 Flip, rotate, and grab with these ergonomically designed tongs. The special thumb grips offers maximum grip for your hands, while the scalloped silicon covered steel heads allow easy control of the food. 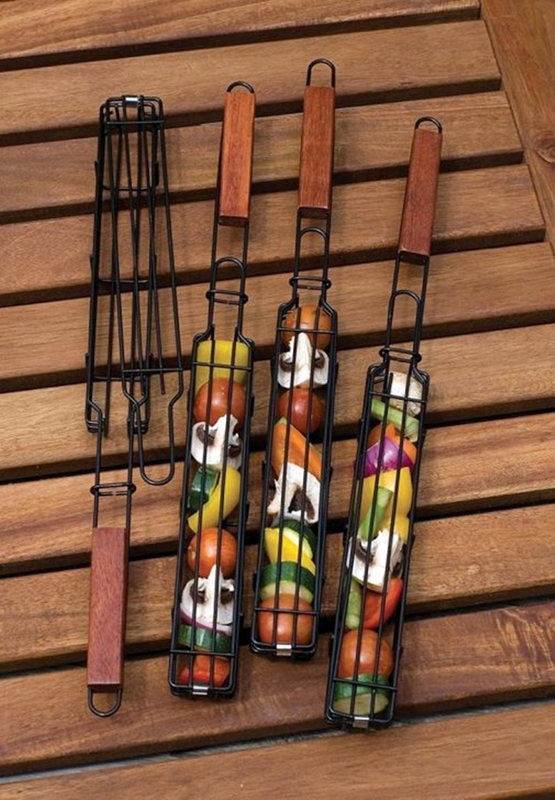 These tongs feature an easy-to-use locking mechanism along with a handy loop for hanging. Perhaps best of all, at 16-inches long, the tongs keep your hands a comfortable and safe distance away from the heat. Raise your hand if you’ve ever strapped on your headlamp while grilling. How about tried to hold a flashlight in one hand while flipping burgers with the other? 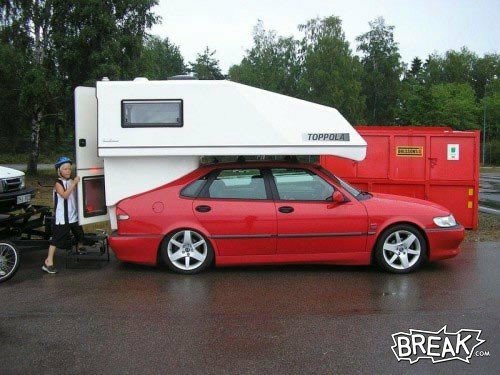 Fortunately, there is a better way! 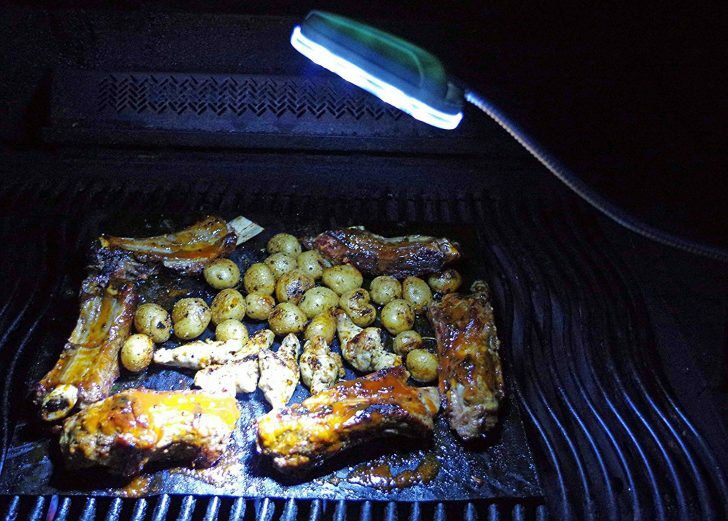 Simply mount this grill light by its sturdy aluminum clip or two powerful magnets and instantly light up your entire grill. The 12 super-bright LED lights ensure no more burnt or undercooked food, while the 24” flexible neck allows you to shine the light where you need it most. Nothing ruins good barbecue quicker than a dirty grill. Old greasy bits and burnt-on grime can quickly turn a perfectly seasoned steak into a foul tasting nightmare. Save your food (and your grill) with this high quality, 3-bristle, grill brush. 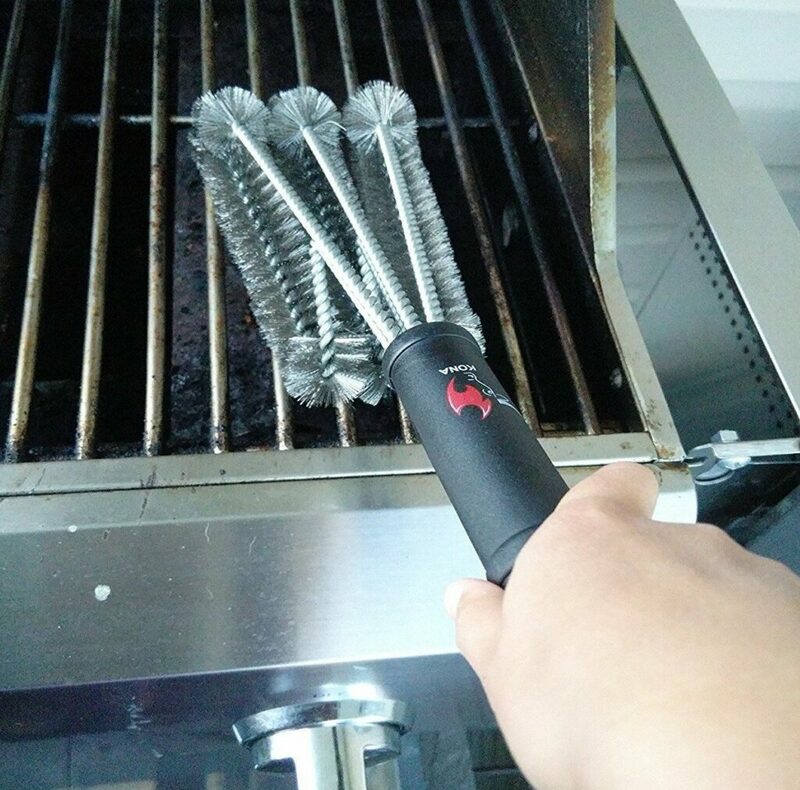 The innovative 360-degree rotator allows you to reach every bit of grime, and the stainless steel bristles are safe to use on multiple types of grills. 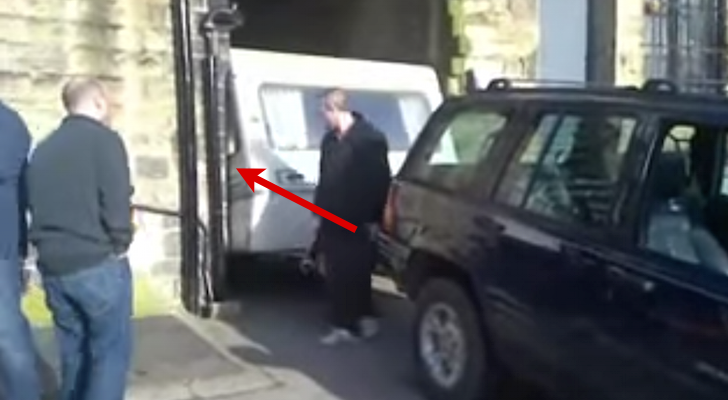 Want to feel like a true BBQ pro and make your neighbors jealous? Then it’s time to pull out the BBQ briefcase. 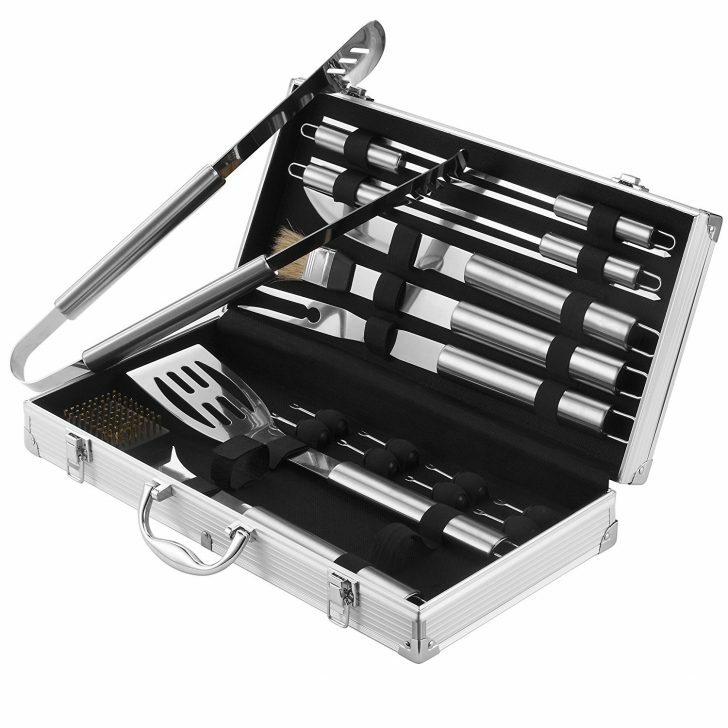 This slick-looking metal case includes 18 essential grilling accessories. From the heavy duty tongs to a sharp knife, 4 metal skewers, and even a set of corn holders, you are sure to be the talk of the campground with this flashy set of tools. Designed for foolproof flipping, these clever baskets will prevent your kabobs from turning while keeping them in perfect shape. The baskets are made of non-stick heavy-gauge steel so your food slips out easily when done. 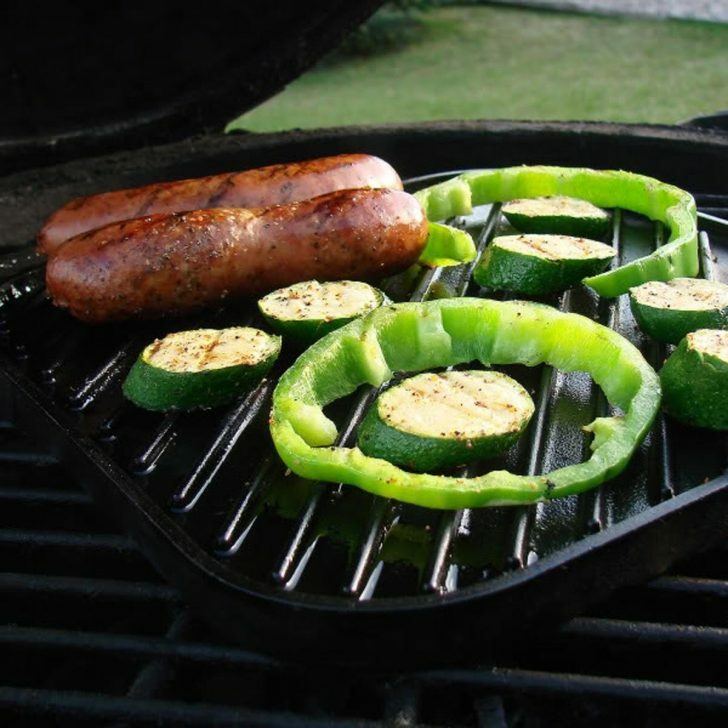 Simply fill the basket with cut up meats & veggies, slide the latch lid closed and grill. Perfect kabobs every time! They come in a set of 4 on Amazon. Pizza lovers take note! Grilled pizza might just be the best thing since…well, since the invention of pizza itself. Without a restaurant-style oven, it can be difficult to replicate a perfectly cooked pizza. This BBQ pizza stone solves the problem by producing a crisp crust with just a hint of smoky BBQ flavor. Made of special cordierite stone that absorbs moisture, the pizza stone allows air to flow around the crust for even cooking every time. 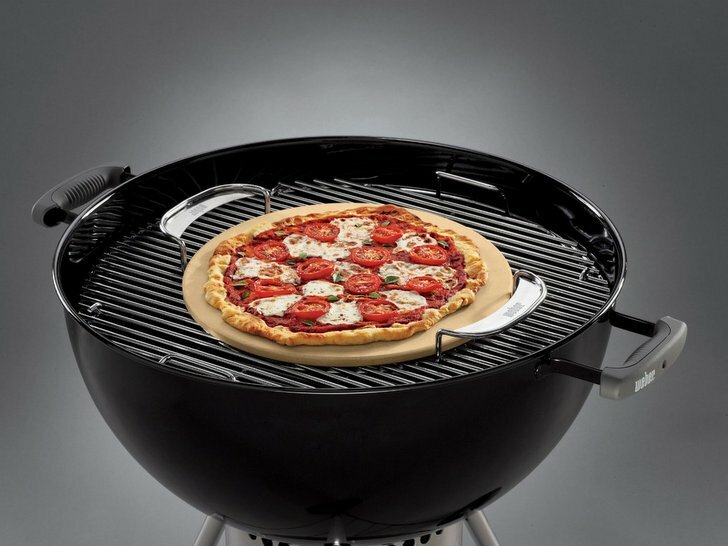 Like many of these grilling accessories, the BBQ pizza stone is multi-use and can easily be transferred from grill to oven. The best grilling accessories are those that allow you to extend the use of your grill without complicated equipment or the need to read a 10-page instruction manual. The grill basket fits all the requirements. This simple square basket allows you to grill shrimp, slices of onions and peppers, or even cut up meat with ease. The raised edges keep the food in place while the holes allow smoke and flavor to penetrate the food. 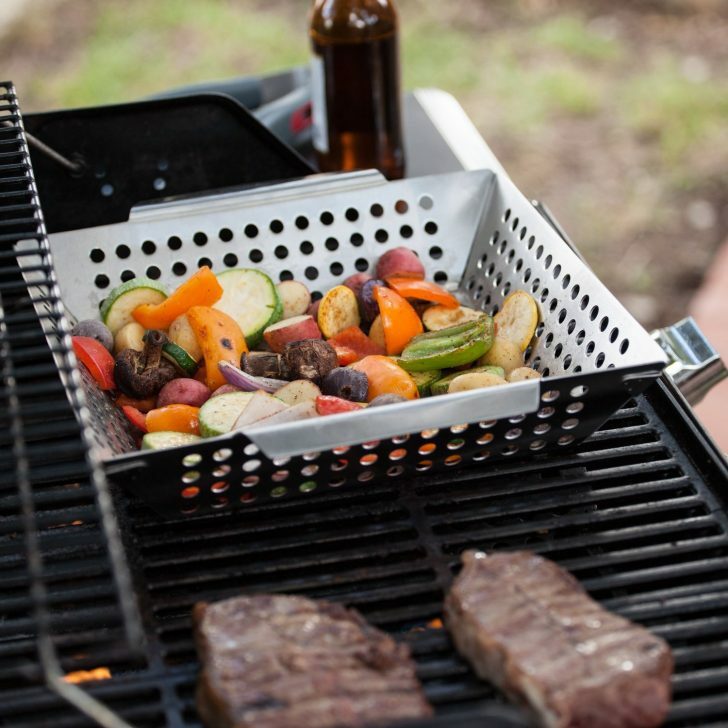 Simply put, this basket is the perfect sidekick to your grill. 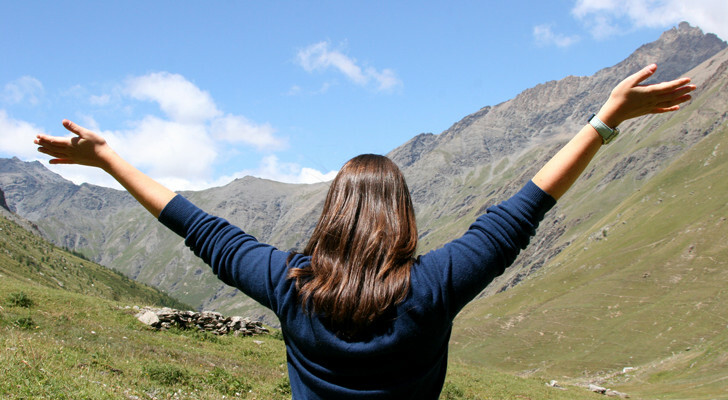 Say goodbye to dried out meat and veggies. 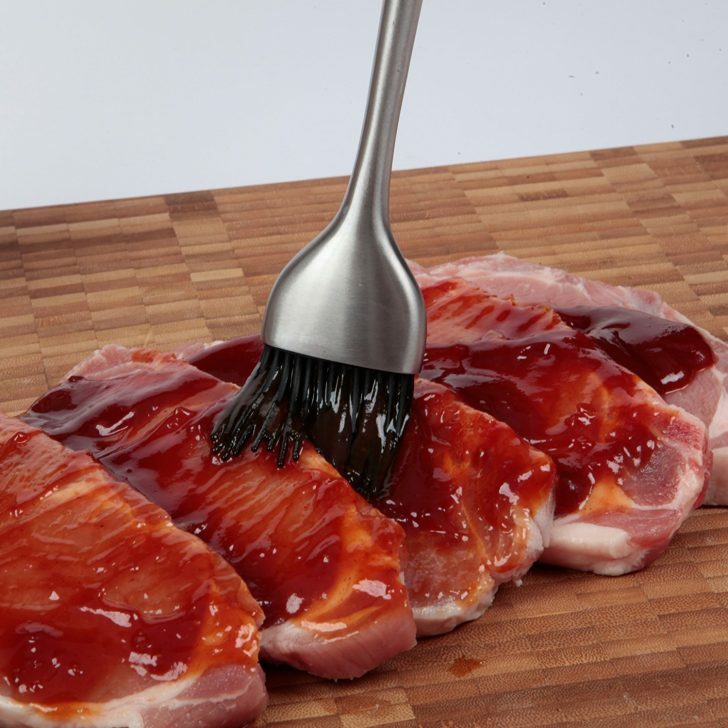 With this handy basting brush, you can easily add sauces and marinades. 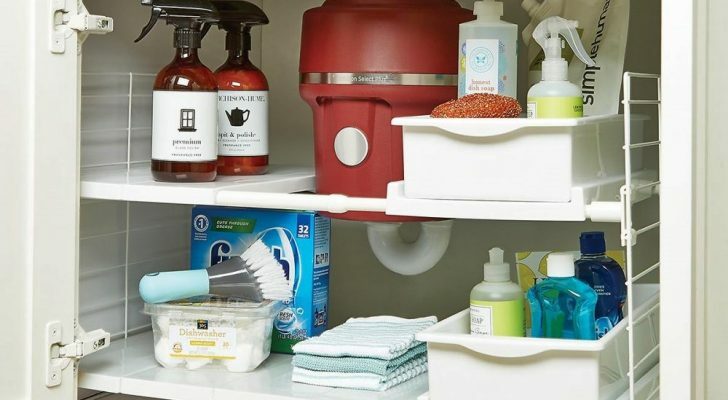 The extra long stainless steel handles keeps your hands away from the heat, while the silicone bristles allow you to baste, coat, and spread without fear of clogging.